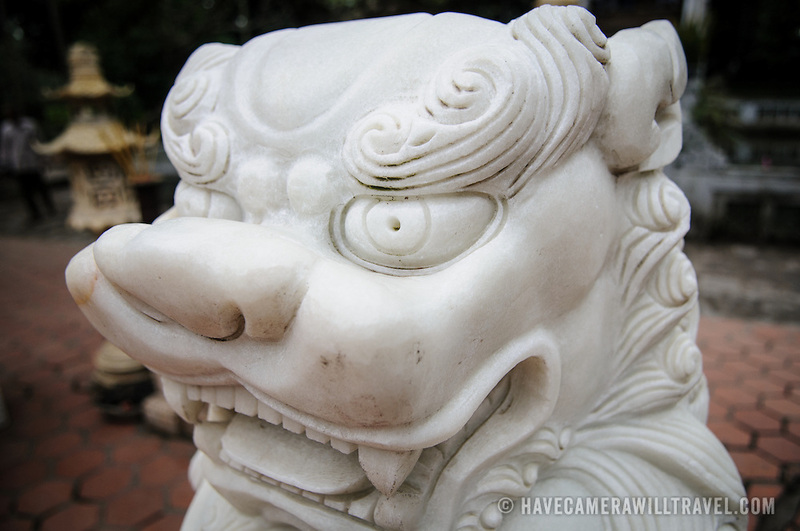 A marble lion statue at the One Pillar Pagoda. The historic, small One Pillar Pagoda sits in the center of a small pond near the Ho Chi Minh Museum in the Ba Dinh district of Hanoi. It is one of the most iconic temples in Vietnam and dates back to the 11th century. © David Coleman. All rights reserved.